GALLLERIAPIÙ in collaboration with Conservatorio di Musica Giovan Battista Martini – Bologna. In a noisy era it becomes necessary to find silence as well as listen to sound in a different way. A fictional silence declined in many perspectives that encourages and absorbs a self-reflection while underlining every gesture and sound. 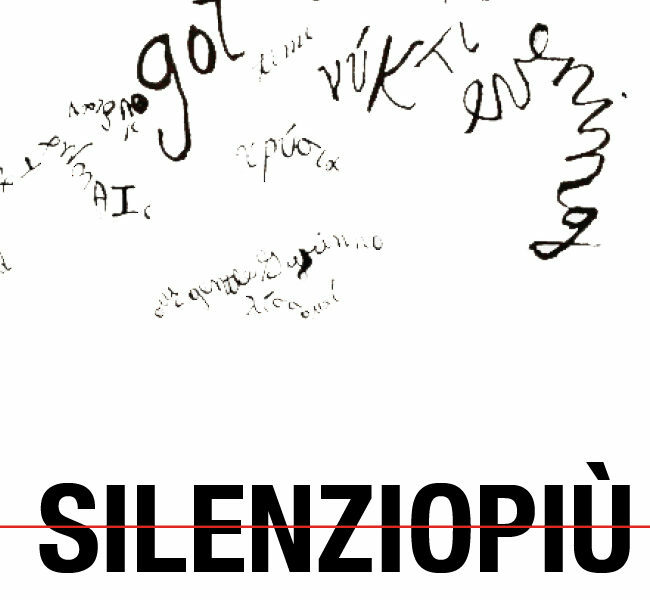 The educational project by Francesco Giomi dedicated to silence wants to contribute to the attempt to explore silence condition even in the music realm: sound actions become formative moments, reflection and perception exercises, when declined in different ways. SILENZIOPIU’ is supported by OCWR ohcristo web radio a receiving and spreading platform for sound experimentation based in the gallery basement www.ohcristo.com.